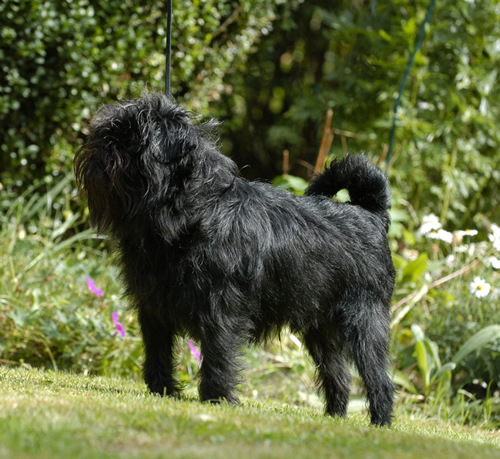 The Affenpinscher is a balanced, wiry-haired terrier-like toy dog whose intelligence and demeanor make it a good house pet. 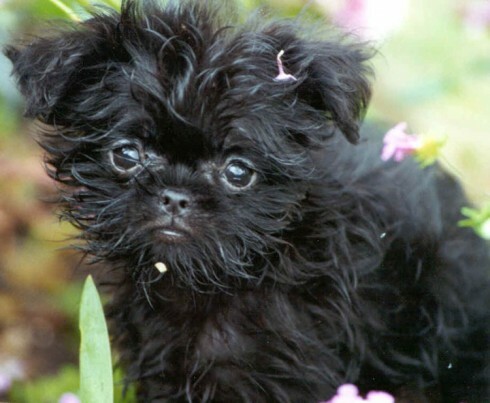 One of the most ancient of Toy dogs & originated in Europe. 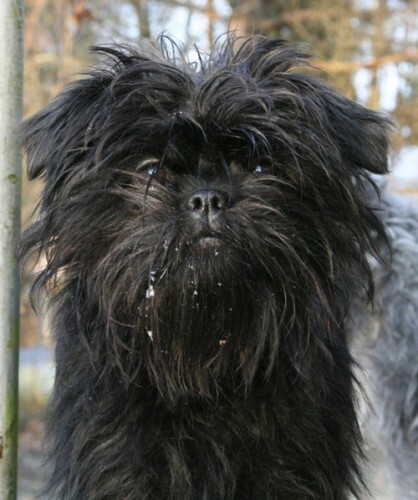 The Affenpinscher is characterised by his monkeyish expression. 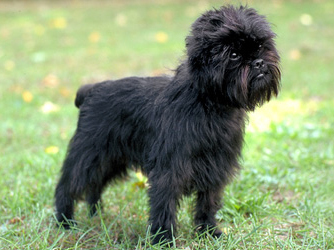 The Affenpinscher shows great loyalty and affectionate toward its masters and friends. 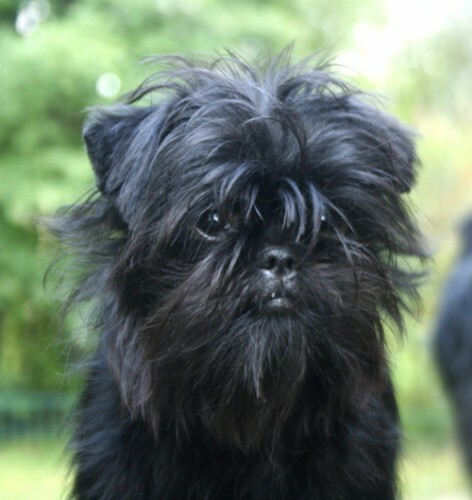 So you want to own an Affenpinscher? 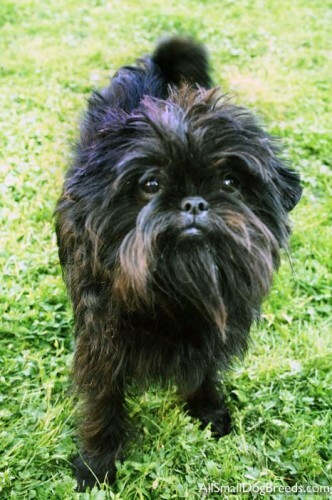 The Affenpinscher requires firm but loving guidance, for it can be obstinate. 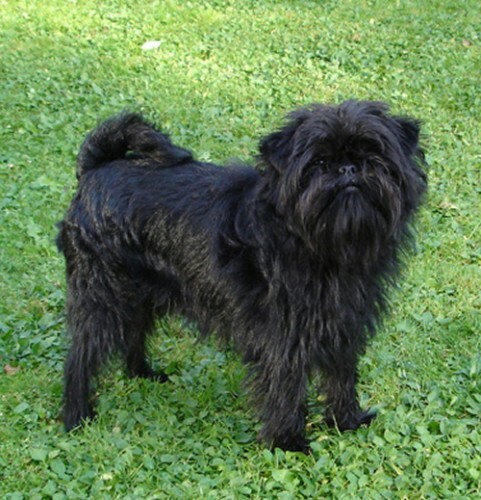 The Affenpinscher's coat should be brushed several times a week. 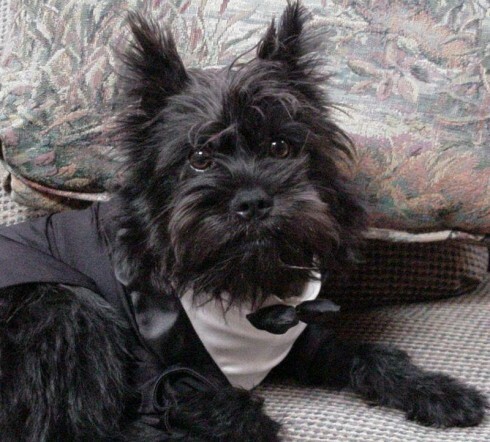 It is relatively easy to learn how to trim the dog around the feet, ears, and tail with scissors to keep him looking neat. 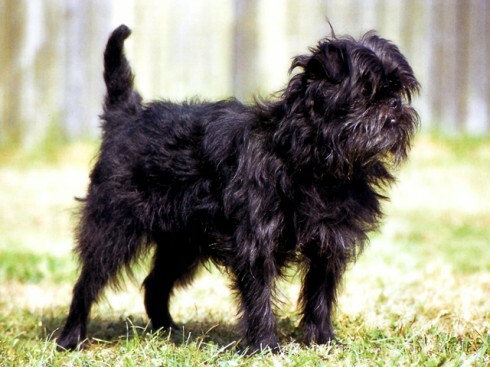 The Affenpinscher is an alert, fearless and inquisitive dog. 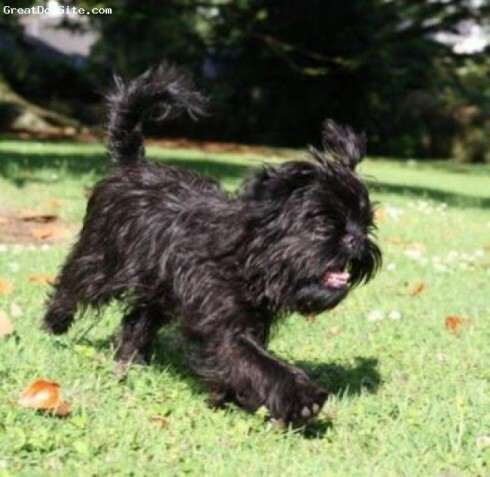 Rough-coated, sturdy in build with a mischievous monkey-like expression. Although small, not delicate in any way. Lively and self-confident, carrying itself with a comic seriousness. Loyal and loving companion; watchful of strangers and fearless toward aggressors. Fairly small in proportion to body; domed forehead, broad brow and marked stop which is not indented. Muzzle blunt and short but not flattened sufficiently to cause difficulty in breathing or wrinkling of skin. Chin prominent with good turn up. Distance between dark eyes and black nose forming an equal sided triangle. Round, very dark and sparkling. Medium in size and not protruding. Small, set high, either drop or erect. Slightly undershot with lower incisors gripping scissor-like in front of uppers. Teeth or tongue not showing when mouth closed. Short and straight. Skin of throat tight and unwrinkled. Front legs straight, elbows neither in nor out, carried close to sides. Back short and straight. Height at withers about equal to length of body measured from point of shoulder to point of buttock. Well sprung ribs with chest not too deep, combined with only a slight tuck-up at loin giving a sturdy appearance. Hindlegs well set under body without excessive angulation. Small, round and compact turning neither in nor out. Pads and nails dark. Set high and carried high, left a natural length to curve gently over back when moving. A lively, strutting movement. Lifting feet high when in motion, with no hint of hackneyed action or plaiting. 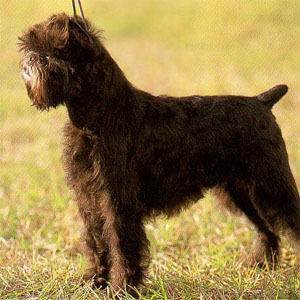 Correct coat needs no trimming, rough and harsh in texture, short and dense on some parts of body and shaggy on others. 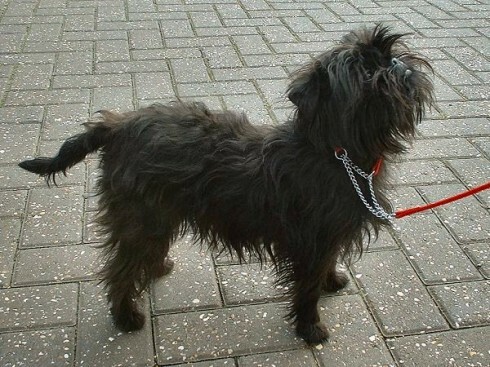 In particular, longer on shoulders, neck and head where loose shaggy hair stands away from skull framing eyes, nose and chin giving desired monkey-like appearance. Height 24-28 cms (91/2-11 ins). 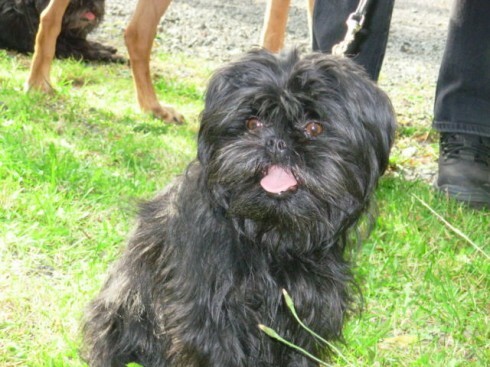 Weight 3-4 kgs (61/2-9 lbs).